You know those books that you come across every once in a long while--the ones whose pages you wish you could jump into and live in?? That's Inside Outside by Lizi Boyd. I originally got it as a gift for Nate, my toddler, but the first time I read it was with Avery, my soon-to-be five-year-old. We both fell in love with the book, and more so after each page. 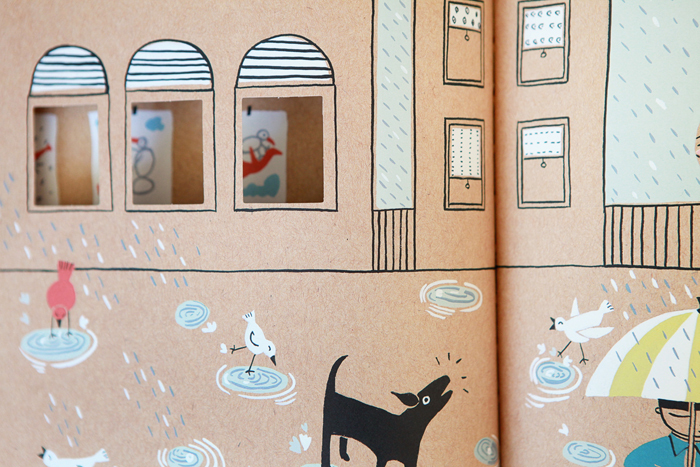 Inside Outside is actually a wordless book which follows a boy and his activities through the seasons, with die-cut windows that allow you to take a peek at what's outside in his yard or what's inside his house. 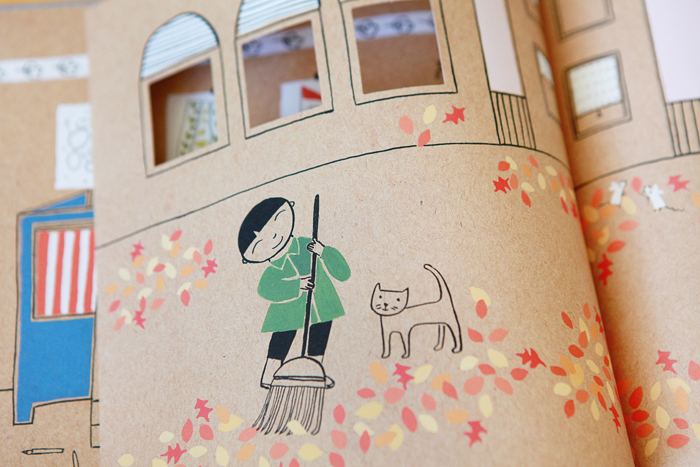 The illustrations weave together his interior and exterior world and are simple yet overwhelmingly beautiful. There are so many aspects of the boy's livelihoods and charming environment about which to talk, imagine and make inferences. There are so many curious questions and interesting dialogues to be had--the kind that usually arise from well-executed wordless storybooks. It just so happens that this engaging aspect of wordless storybooks is executed exceptionally well in Inside Outside. I cannot wait to read Lizi Boyd's other works!